A new CAT ONLY facility next door so we can give your feline friends a more comfortable experience when they are sick or for routine care. No more noisy dogs, or the hussle and bussle of our regular clinic to upset them. 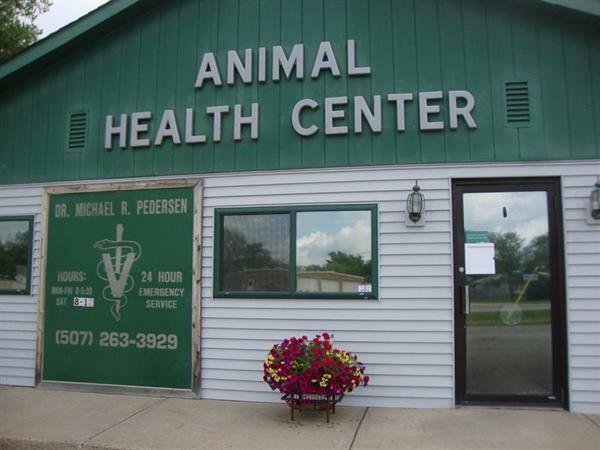 Animal Health Center was established in 1985 by Dr. Michael Pedersen. We moved to our current location in 1995. This clinic is a full-service veterinary medical facility, located in Cannon Falls, MN. Dr. Mike, Caroline, Dannette, Laura and Tracy seek to provide the best possible medical, surgical and dental care for their highly-valued patients, supporting small town community spirit. We are committed to promoting responsible pet ownership, preventative health care and health-related educational opportunities for our clients. Animal Health Center strives to offer excellence in veterinary care to Cannon Falls , MN and surrounding areas. Please take a moment to contact us today, to learn more about our veterinary practice and to find out more information about how we can serve the needs of you and your four legged friends. To be the best we can each and everyday for you and your four legged friends. Providing high quality service and participating in our small town community. We have long standing clients and enjoy the relationship we have with them and now with their grown children.